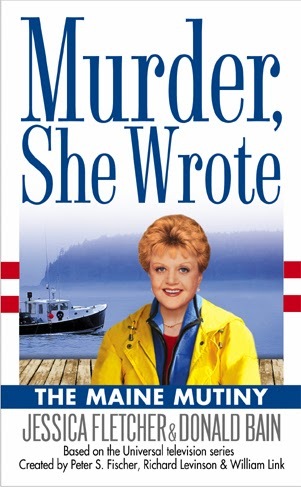 As one of Jessica Fletcher's friends and favorite foils, I have had the privilege of working with Cabot Cove's most esteemed citizen many times (although sometimes I do have to chase her down for a comment). 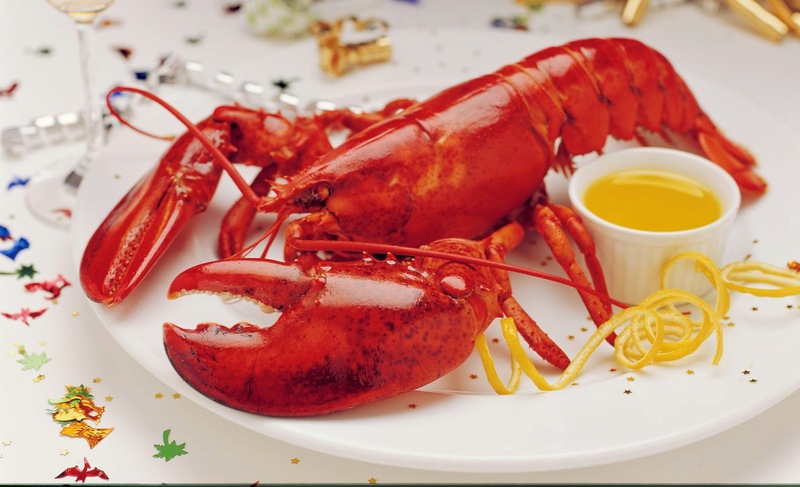 At our first encounter, she agreed to write an article for the newspaper about our local lobster industry to add color to an issue devoted to Cabot Cove's Lobsterfest, a big event celebrating the delicious crustacean that provides income for residents and draws tourists, the major contributor to our local economy. I was a newbie to Cabot Cove although I came from Bangor, which is hardly the other side of the country. Still, in Maine, if you haven't lived in town your entire life, you are considered "from away." I think a lot of small towns are like that. Nevertheless, I buckled down to take publisher Matilda Watson's gossip rag and transform it into a real newspaper. My early efforts at giving folks news instead of pablum raised some hackles--"We only want happy stories"--as well as charges of "yellow journalism." 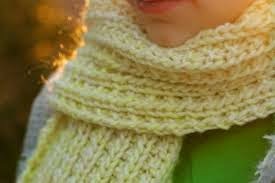 Well, I'm not one to buckle under criticism, so I embraced the phrase and knitted myself a yellow scarf to announce my presence, and set about learning all I could about my new home. Jessica eventually wrote that article for me, but she had quite an adventure before she was able to sit down at her desk. Someone conked her on the head and towed her out to sea, leaving her on a sinking boat--with a dead body. But intrepid lady that she is, she managed to save the corpse and herself. That's why I love covering stories in Cabot Cove. There's always something exciting going on when Jessica Fletcher is around. And when there is, you'll find my write-up about it in the Gazette. We have a special drawing for the last time this summer. It's part of Killer Characters' Cozy Days of Summer giveaway. One lucky commenter can win a certificate naming you or someone you designate an Honorary Citizen of Cabot Cove. Wish I could have gotten one of those when I arrived in town. Might have smoothed my path some. But I seem to be fitting in these days. Good luck! SO WHERE DO YOU GET YOUR NEWS? DO YOU READ A NEWSPAPER? We love the puzzles, too. Every morning starts with coffee and the newspaper. Good luck Kiki! We get two papers every morning, the New York Times and our local ones, but we do check up on the news online throughout the day. Thanks for stopping by, Katherine. You're in the drawing now. Yes, I read newspapers, I also read magazines, books, flyers. I am a compulsive reader. An addict, I can not help myself. I have even sunk so low as to read the backs of cereal boxes and milk cartons. I am so ashamed. It is so embarrassing. I go to meetings, but it never seems to help for long, but I persevere and hope to one day conquer my addiction. We do get the newspaper and I love to read that and magazines. I enjoyed Murder She Wrote so much. We wish there was more time in the day to read all this things we want to, but the newspapers are a good start. Good luck, Debby! When we travel, we tend to read the local paper of the place we're at. It's fun to see the differences. And then there's the pile to go through of our local paper when we get home. Yikes! I used to read the Sunday paper every Sunday, but I stopped reading the news and watching the news during my husband's many deployments. I've always loved newspapers though. I even had a paid internship during college on a small daily newspaper in Texas. I love Cabot Cove and sometimes wish I lived there. Please thank your husband for his service. Different strokes for different folks. We like 'em both. Good luck in the drawing! I've stopped getting paper versions of newspapers and read them online. And NPR's online site for real balance. We still love paper, but lots of people follow your lead, Janet. We love NPR, too. I read newspapers daily and watch the news. I also follow news on my computer. I would love to visit Cabot Cove. Did you know the show used Mendocino, California, as a stand-in for Cabot Cove? You can visit there, and see Hill House which was used for Jessica's home. I subscribe to a daily newspaper and also watch the news on TV. I also get further information online. We must say, this is a very knowledgeable crowd here. Good for us! I work in a library, so I can read newspapers any time I want! And everything else, too, Debra. Lucky you! Our household subscribes to the Calgary Herald but I personally get most of my news online, with some also coming from radio and TV. There are so many options these days, but the important thing is to stay interested. Good luck in the drawing, Laura. We suspect you're in the majority, Lisa. You're welcome, Colleen. Good luck in the drawing! I read national and area newspapers online and the hometown one in print, a little bit of news (if you can call it that) from television, a lot of looking things up online once I know something is happening I want to know about. I love to read anything in print but find that the newspaper has too much I skip over - seems a waste to buy that huge newspaper full of all those ads anymore. Thanks for the opportunity to win - love that Jessica is still going strong (and just finished Lights Out! - woo hoo). All those poor advertisers who are trying to get your attention are out of luck. We have to admit we skip most of them, too. Other than ads for books, of course. And thanks for reading Lights Out! For everyone else, that's Don's new comic-caper book. You can find it at your local library and bookstore. You've got all the bases covered, Becky. Good luck! It is hard to beat holding an actual newspaper in you hand. I both read and write for my local newspaper. Jessica has been a hero of mine for years, but even more so now that I've lost my husband as she lost her dear Frank. So sorry for your loss, Linda. You have our sincere sympathies. 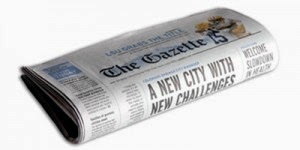 I like to read my news on the Internet from several local and national outlets. The last time I picked up an actual newspaper I was grossed out. I had news print on my hands and felt filthy. They used to be pretty messy, it's true, but our papers now use non-smudge ink and it's a pretty clean read. Thanks for stopping by Annette. I love reading the newspaper but I can''t afford to subscribe! So I signed up for CNN Breaking News and I check the topis on AOL News. If I am interested in what happened. I go to web and search for information. The Internet has surely changed our lives, Carol. It's like having a library in our homes, but we still like to visit the real thing, too. I get my news from facebook. I try not to pay too much attention, but friends will comment on things going on. I like reading the Sunday Paper. We read our paper over breakfast, too, both weekdays and Sundays, and then we check Facebook. Lots of news around. I am addicted to "talk radio" so most of my news comes to me over the airwaves. But I do read the national paper online everyday during my lunch break. During baseball season I get my news from MLB.com or ESPN! Talk radio, huh Shannon? You're the first to mention that. Online is a popular source. Lots of good sports news on ESPN. Well, we hope you'll try the books, Elisa and Abby. Lots of news sources mentioned here. Good luck in the drawing everyone. Pretty much from Facebook these days. I do read our local paper -- took me all of 10 minutes tonight & that included the comics & Dear Abby. Sunday paper takes longer. As you can surmise, there's not a lot of news. We enjoy the fun stuff on FB, Elaine. Glad you like the books, Sandra. Not a lot of local news, Donna, but it's still fun to keep up. I mostly get my news from news channels on tv and on the internet. My goodness, how fun is this? I get my news everywhere, the local newspaper at my coffeeshop & community center, on the internet at yahoo & a couple of newspapers I follow, on tv, and on the radio. With so many possible ways to get the news, we were surprised and delighted at how many of you read newspapers. But however you keep up with the news--local and national and international--it's always good to be informed. Congratulations, Shannon Beatty! You have won the drawing to receive a certificate naming you or someone you designate an Honorary Citizen of Cabot Cove Maine. And thanks to all of you for reading the Killer Characters blog and telling us how you get your news. Have a wonderful day! I read the local paper and sometimes other ones such as USA Today and the Detroit papers. Sometimes I look at articles on Yahoo. I like this series and I remember that Gin and Daggers was the first one because I got it from the library in hardcover. When the next one in the series appeared a few years later it was in paperback. Gin and Daggers came out in paperback later so it's not listed as being the first in the series. I own maybe half of these books.